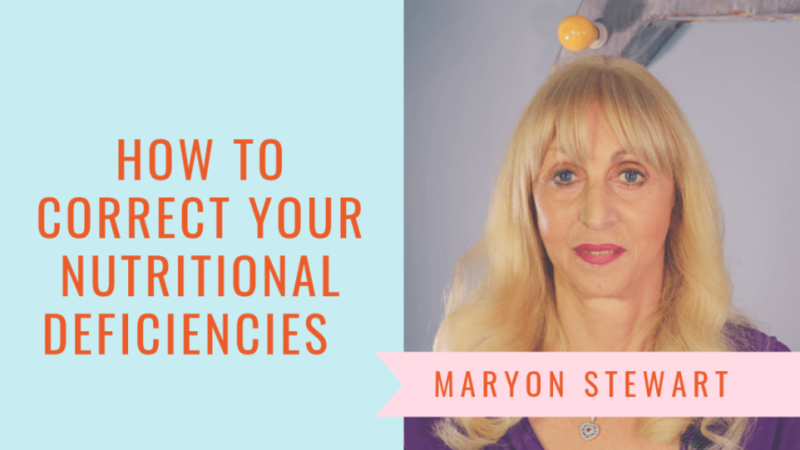 In this Weekly Wisdom, I’m focusing on how to correct your nutritional deficiencies, how to recognise them and the importance of resolving any that you may have during menopause. What are nutritional deficiencies and why do they occur? At the Women’s Nutritional Advisory Service we undertook 5 studies looking at nutrient levels in women, focussing on how they affected our hormone function. We were stunned to find that between 50 - 80% of women had low levels of key nutrients, necessary for both normal brain chemistry and hormone function. There’s been much more research in the last few years showing that billions of women have nutritional deficiencies so is it any wonder that women are experiencing hormone problems as they make the transition through menopause. Perhaps because we often naturally put the needs of others before our own, many of us don’t make time to eat well or look after ourselves properly. Low levels of important nutrients at midlife could be the underlying cause of many of your debilitating symptoms. Some patients get misdiagnosed with mental illness or dementia and even thinking they’ve got arthritis because they’re so achy. When important nutrients including magnesium, zinc, iron, essential fatty acids, calcium and vitamin D are in short supply it can dramatically change the colour of the lenses through which you see the world as well as rob you of any decent level of energy. Low levels of these nutrients can be responsible for a whole host of symptoms including aches, pains, mood swings or even depression, leaving you to feel like a shadow of your former self. Unfortunately, vitamin D is one of the few nutrients you can get tested for at the GP. However, I’ve created a download which you can view here that allows you to assess all of your nutrient levels in order for you to determine what you’re lacking in. This guide is your chance to learn to interpret what your body has been trying to tell you. Vitamin D can be found in salmon, mushrooms, egg yolks and shrimp. Magnesium can be found in avocados, dark chocolate, nuts, legumes and tofu. Zinc can be found in seeds, legumes, eggs, dairy and whole grains. Calcium can be found in cheese, yoghurt, almonds, beans, lentils, rhubarb and sardines. Iron can be found in shellfish, spinach, legumes, quinoa, red meat and pumpkin seeds. It’s important to take a multivitamin as well, we sell a broad spectrum supplement called Lamberts Fema 45+ . This helps to alleviate the side effects of hormone changes during menopause and promote long term bone health. These are the things in our foods and drinks that lock onto nutrients and stop them from being available to your body. For example, tannin in tea and red wine can lock onto calcium, magnesium, and zinc and stop those from being available to you. Also phytates that can be found in bran and wheat can lock onto your nutrients. It takes about three months to get your nutrients back into an optimum range, so I recommend staying with the regime for a minimum three months to see the changes. So, make sure that you look after yourself and take the time to structure a regime that suits you. If you would like to try the supplement I’ve mentioned in this blog post, or any other science based products I recommend, you can visit my online shop here. If hot flushes, night sweats, weight gain, loss of libido, insomnia, anxiety and/or depression dominate your days, join Maryon Stewart's virtual menopause class to learn about your body and how to get your symptoms under control naturally. If you want to look great and feel even better, you must get back into good nutritional shape.How? Successful followers of Maryon Stewart's programmes take multivitamin Fema 45+ every day.